Roxbury, MA. August 25, 2018. 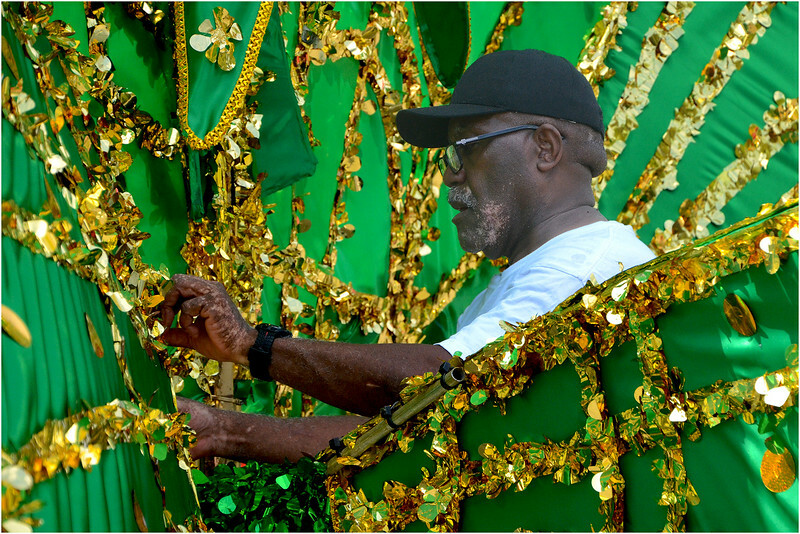 Shurland Alfred of Dorchester makes preparations before the carnival gets underway.